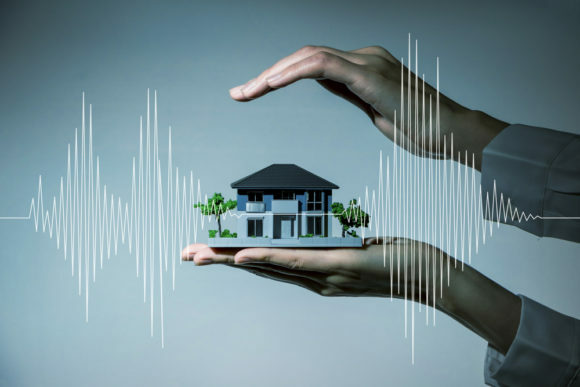 The California Earthquake Authority (CEA), through its participating insurers, is focused on providing earthquake insurance to protect as many California homes as possible from damaging quakes. The not-for-proﬁt organization provides residential earthquake insurance through property and casualty carriers that choose to participate. This unique approach to selling and administering policies and processing claims prompted CEA to explore innovative technology solutions to make it easier and more efficient to partner with insurers. A new policy administration system would be key to reengineering how CEA delivers residential earthquake insurance to the market and increases take-up in California. Todd Coombes, CEA’s chief insurance and technology ofﬁcer, was given the task of centralizing CEA’s policy processing so all the organization’s participating insurers could use one system. CEA has 24 participating insurers—representing 80 percent of California’s home insurance market—selling earthquake coverage on its behalf. The participating insurers range in size from small carriers to some of the largest in the industry. Some were processing the CEA earthquake policy manually, some hired third parties, some were using their internal admin and claim systems, and some have legacy systems tightly integrated with CEA’s policy. Putting one system together and getting the participating insurers interested in using it offered tremendous beneﬁts and big challenges. When CEA decided to pursue a centralized policy processing (CPP) system, ﬁrst it created a working group of participating insurers to discuss pain points and requirements. The next step was to issue an RFI to see what viable policy and claims administration solutions existed. About 40 vendors responded, and CEA sent out an RFP in February 2015. Insuresoft, leveraging the Diamond System for transaction processing—along with its partners Red Hawk for implementation and support services and Covenir for BPO services—was able to provide the functionality and conﬁgurability required by CEA. Moreover, it was able to provide all of the resources and services under a single contract structure. A conversion process was put in place, which Coombes believes is one of the most difﬁcult things to do in IT. CEA created an approach that was consistent from insurer to insurer but still addressed the individual needs of each. While performing the conversion work, the team discovered a way to use existing information the participating insurers would send to CEA to keep the organization informed about policyholders, premiums and claims. CEA funded conversion work and the standard implementation conﬁguration, as well as transitional support services. As the participating insurers move from their old systems and as they identify data quality issues or reporting needs for the transition, CEA will help in those areas, too. What was going to be a project spanning several years has been signiﬁcantly accelerated with the continued support from Insuresoft and Red Hawk and with efﬁcient conversion processes in place. Coombes is pleasantly surprised that three insurers are already in production and several more are scheduled for the remainder of this year. Others are on the schedule through 2018, and some have indicated interest in 2019 or 2020. Click here to download the Digital Insurance article.